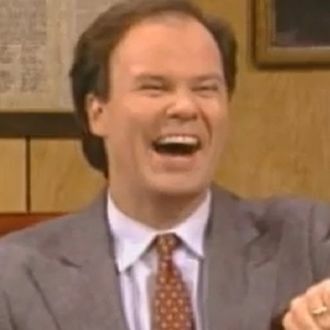 Dennis Haskins, best known as that fun-squelching principal Richard Belding on the ’90s show Saved By the Bell, is finally a college graduate. The actor earned his bachelor of arts degree from the University of Tennessee at Chattanooga at the age of 65. In an Instagram post, he said, “Now, with the forward thinking policies of this great university that I love so much that have benefited many other graduates, I join these graduates in holding my head high having earned my liberal arts degree in theater from the University of Tennessee at Chattanooga.” Congratulations!